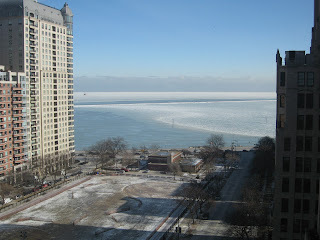 It's -2 degrees in Chicago - without the wind chill. The sun is shining brightly and flooding my hospital room this chilly morning. 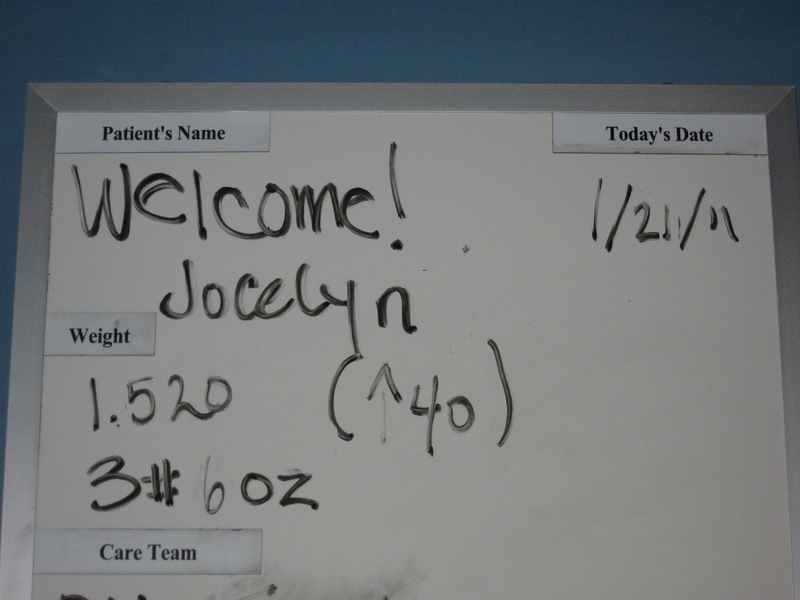 I just got some fabulous, fabulous news - I went down to the NICU to drop off some milk for Jossie and did a double-take on her chart. 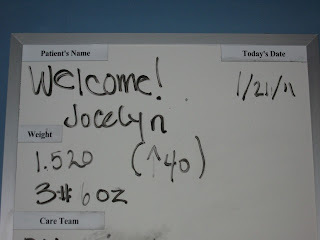 She is back to her birth weight of 3 lb 6 oz! They give babies two weeks to make this milestone; it took Jossie 4.5 days! I asked the nurse and she said most likely Joss will only go up from here. Thank you, God! We're on our way!